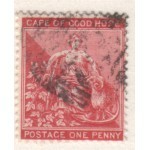 Here you may find the odd, the seldom, some rare or even hardly found philatelic items. New: Now you can get it all - 20% off on all Total Categories with a Philactica icon, e.g. Ross Mint NZ$257.00. to any New Zealand address with on-line payment option. Single or combined lots up to $5.00 to any New Zealand address attracts $1.20 postage. Foreign or local Buyers can select Paypal. To buy you need to briefly register.